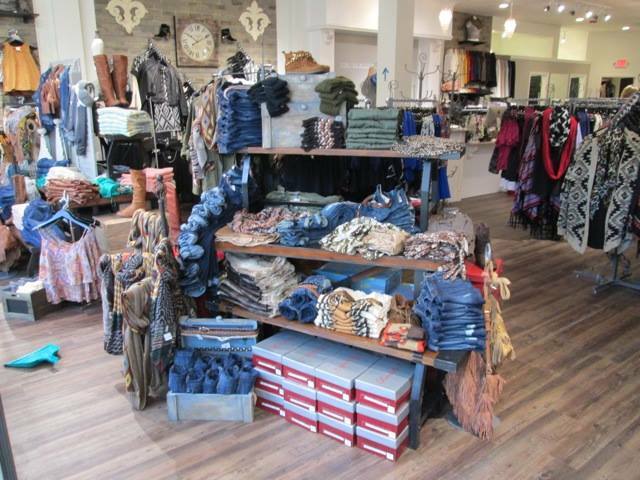 Apricot Lane Boutique. Photo Credit: Apricot Lane, used with permission. Can you describe Apricot Lane? Apricot Lane is “affordable” boutique shopping at its funnest! 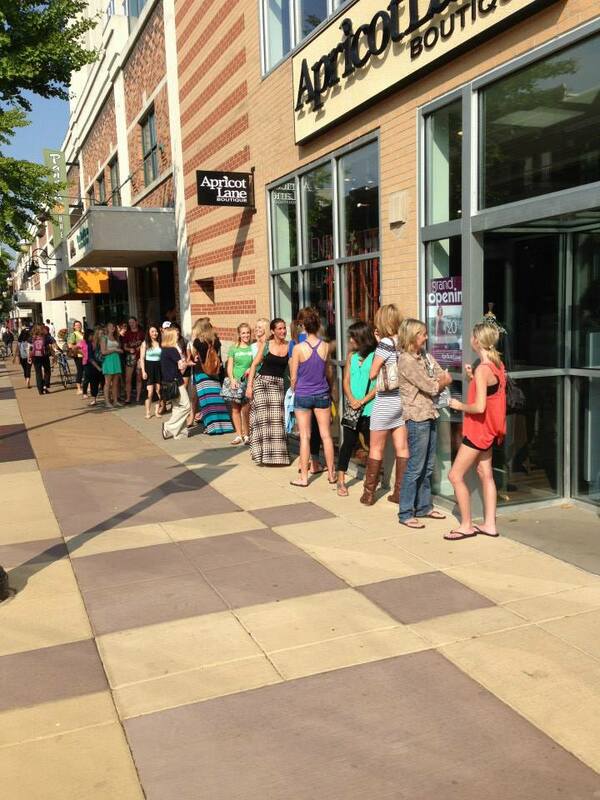 It is a store that moms and daughters can shop together and find the latest trends and unique pieces. The merchandise is constantly changing. We take our cues from celebrity styles and translate that into wearable, affordable fashion- and each owner can tailor this to their own geographic area. Apricot Lane Clothing. Photo Credit: Apricot Lane, used with permission. Apricot Lane is known for its quickly evolving inventory. What you see one week, will probably not be there the next and franchisees achieve this by buying limited quantities of items. How does this strategy pan out and do franchise owners like this concept? Our franchise owners have many sources for buying and keeping their store fresh! We work closely with several key vendors and also have “feet on the ground” in the LA fashion district, with our buyers sourcing the newest trends that will arrive in our stores daily! Our franchise owners love the ability to be able to offer their customers the newest hottest products out there, but it is a lot of work. Luckily, shopping is what we do best! What is an Apricot Lane fashion party and is this your best marketing tool? Our Fashion Parties are the best grass roots and word of mouth advertising we have! Once someone has been to a Fashion Party, they want to host their own, so it really just keeps expanding. 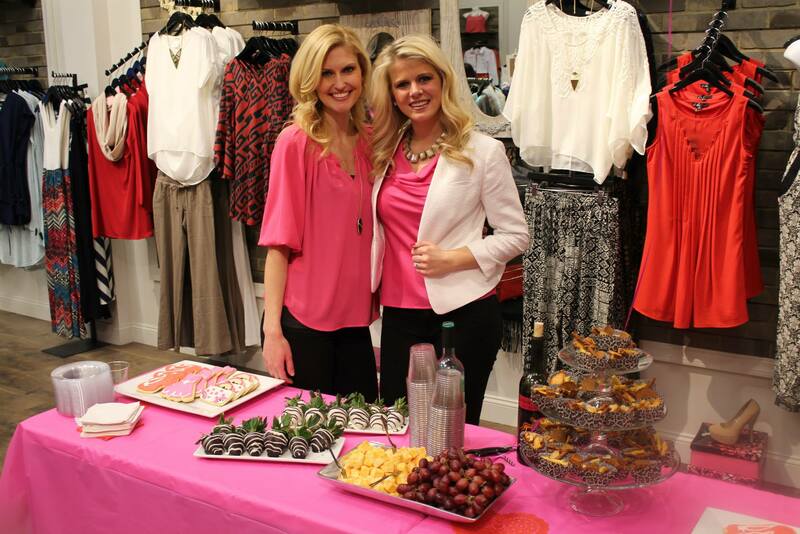 Apricot Lane Fashion Parties are like having a “Girls Night Out” in your best friends closet. Our customers can host a party for their friends in our stores with drinks, appetizers, raffles, shopping and discounts – all without the cleanup. 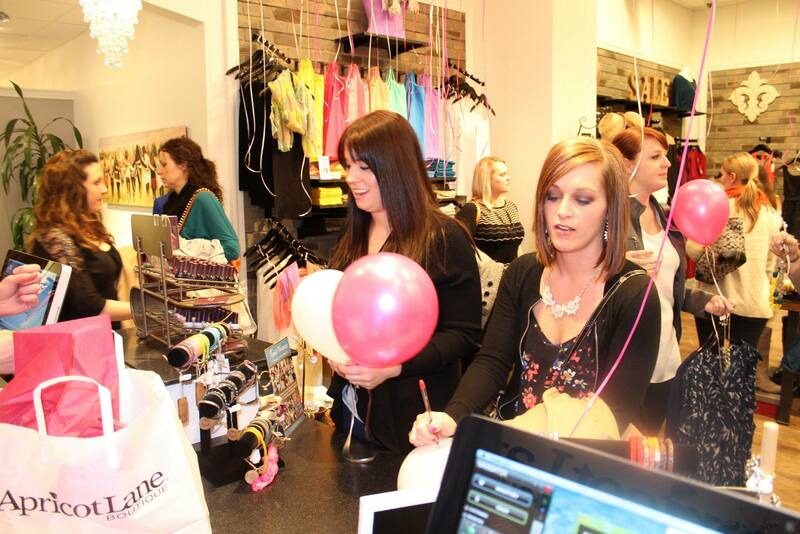 The ladies love helping each other create fun outfits and they get to socialize while shopping! It’s a lot of fun for everyone! We can also tailor Fashion Parties to benefit charities and fundraising groups, where part of the proceeds benefit a designated charity or group. We love giving back to our communities. Apricot Lane Fashion Party. Photo Credit: Apricot Lane, used with permission. I see some excellent choices this season for spring wardrobes at Apricot Lane. What is trending in stores right now and what timeless pieces seem to do well year after year? This year is all about the prints! From floral print dresses to graphic print maxi skirts and soft pants, our customers are loving the look. Lace continues to be hot and we have lots of great lace dresses in for spring weddings and graduations. Crop tops are trending with high waisted shorts and skirts and add a fun element to the season. Spring and summer are also a great time for hair accessories and detailed headbands are flying right now. Maxi dresses have been hot for us for several years now and are a go to piece for our customers. They have become the new “timeless piece”. If there is someone reading this who is considering opening up their own Apricot Lane franchise, what is the one thing you want them to know? Apricot Lane will provide all the tools to make you successful, but your passion and commitment will determine how successful you are- the sky is the limit!